Some say he�s crazy, driving every weekend to go skiing while others relax at home watching Netflix and �resting� for the upcoming week. The difference is a matter of perspective. A weekend warrior since the age of 2, Brian Messer shares his perspective of finding deep appreciation for the sheer number of adventures our West Coast backyard has to offer. In spite of countless adventures with friends exploring the Coquihalla, Manning Park , Duffy Lake, Whistler, Kootney's and other places on skis, he still feels he�s barely scratched the surface of ski adventures in the South Coast. 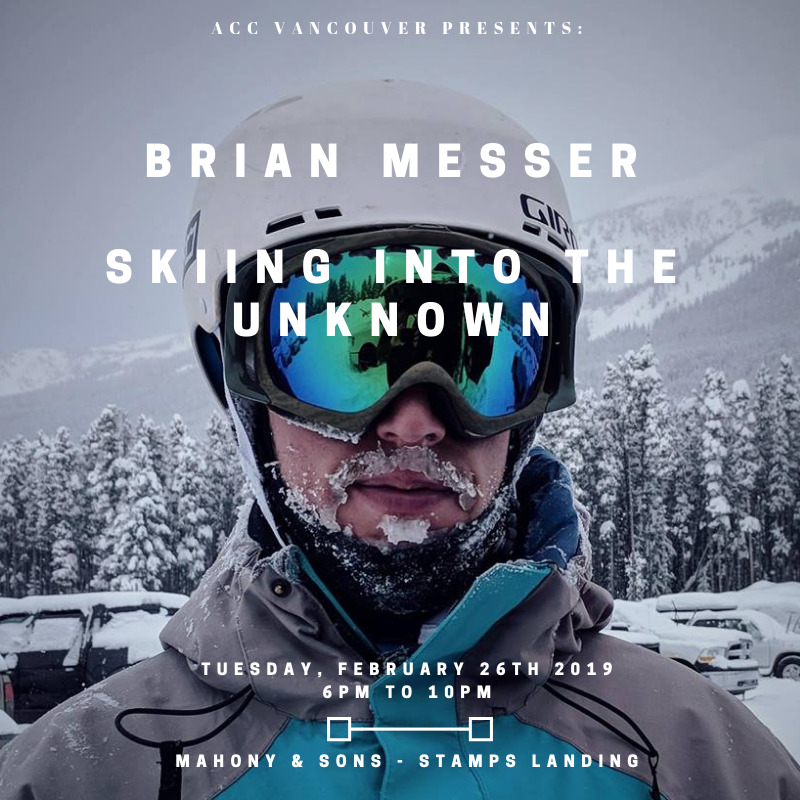 Come by on Tuesday, February 26th to hear about Brian�s adventures and start planning your own with new friends. Don�t forget to enjoy dinner and a drink with us at Mahoney and Sons�s Stamps Landing before the presentation starts at 7pm!